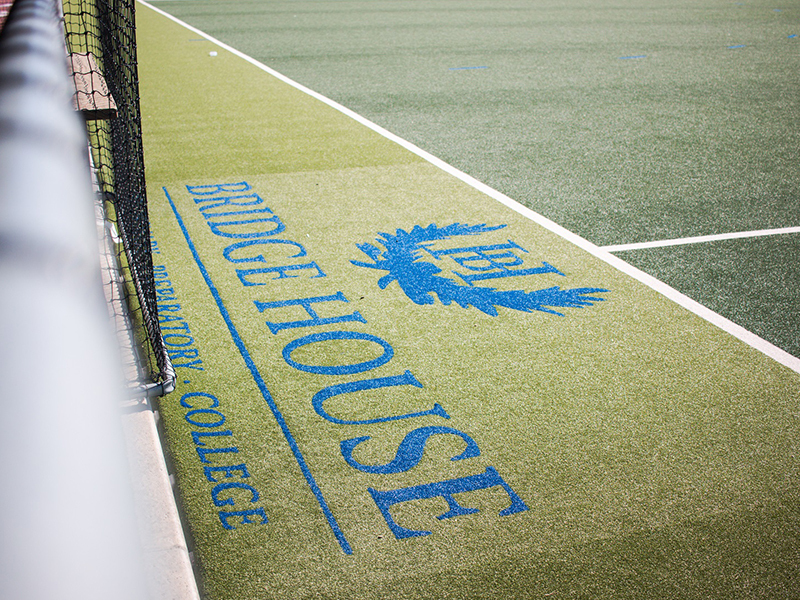 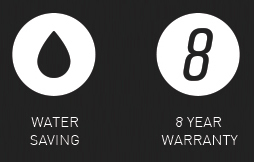 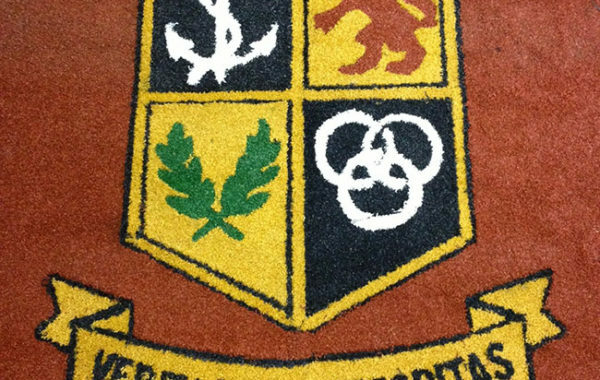 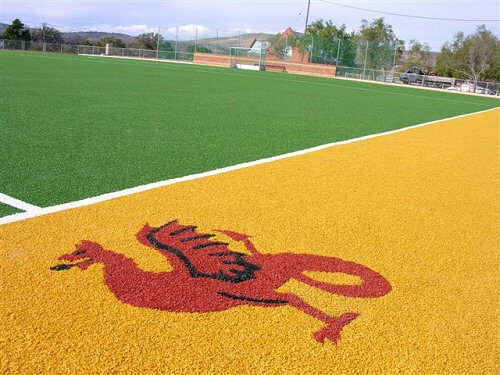 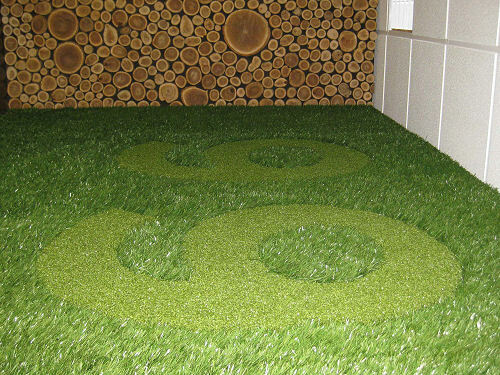 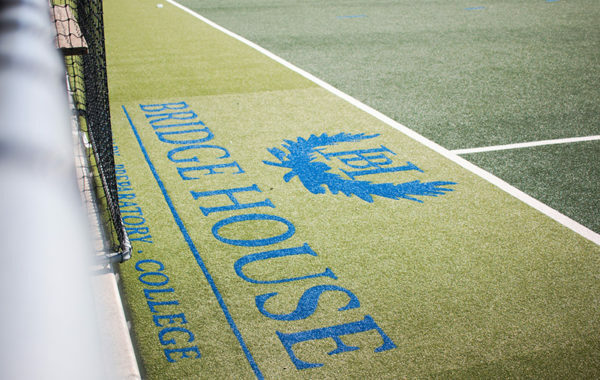 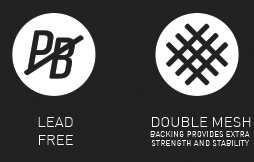 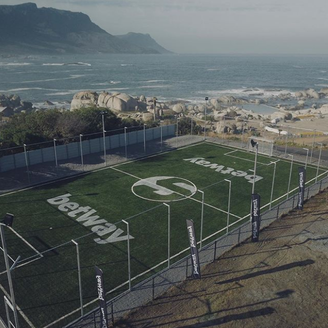 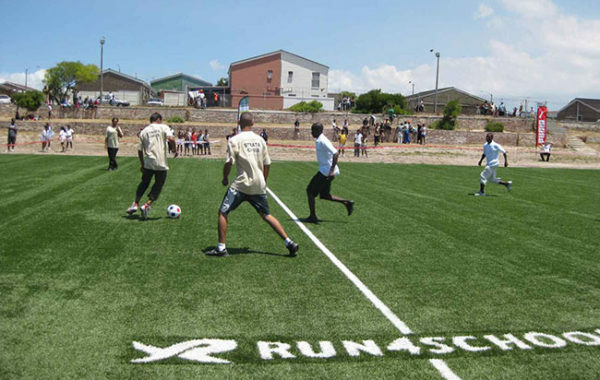 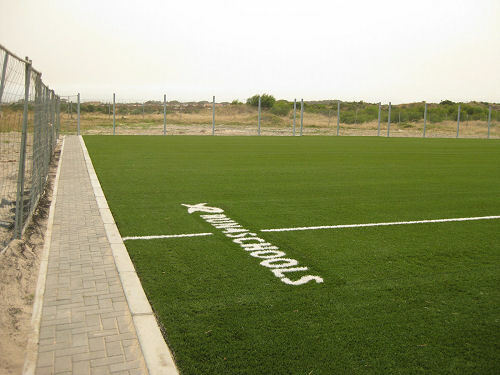 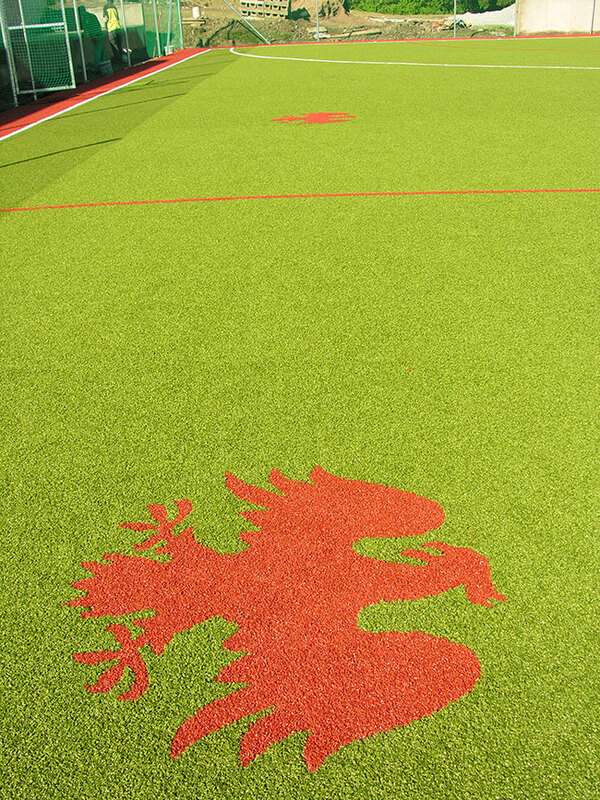 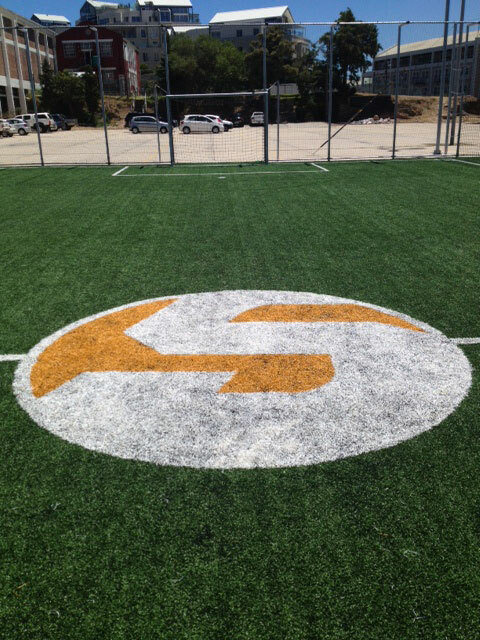 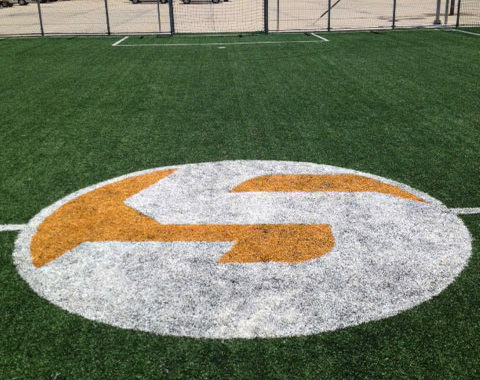 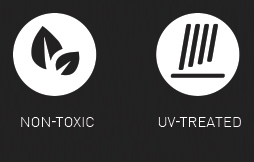 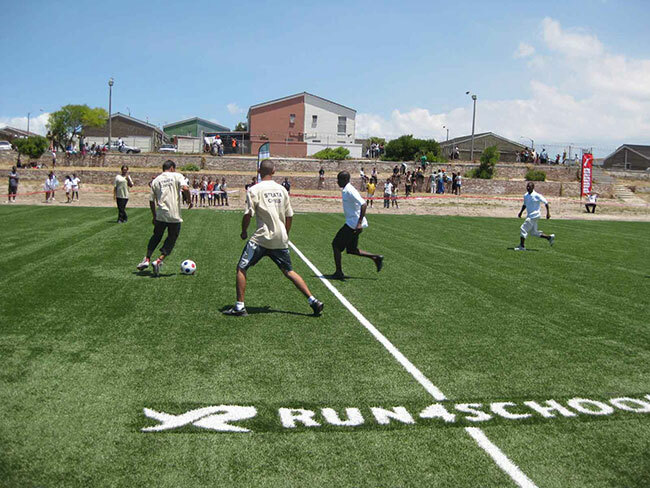 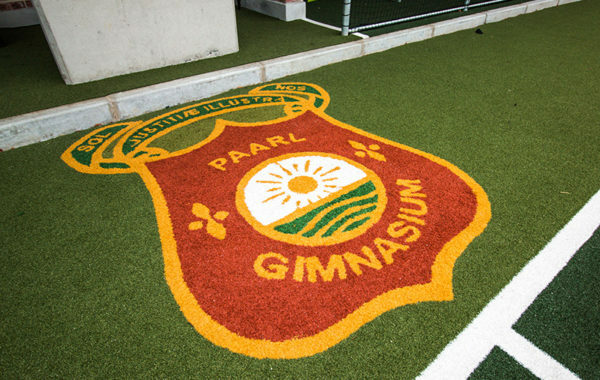 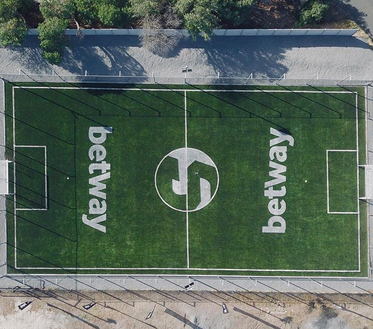 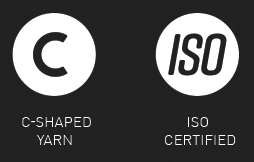 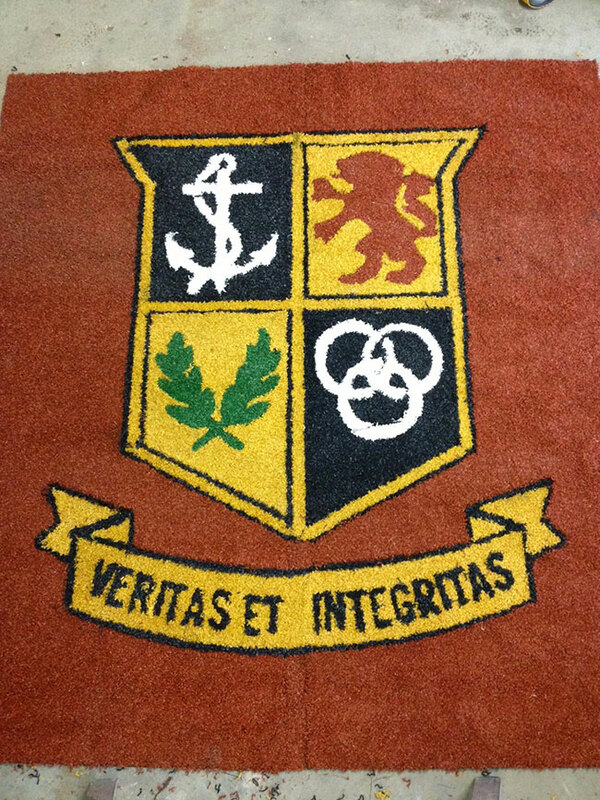 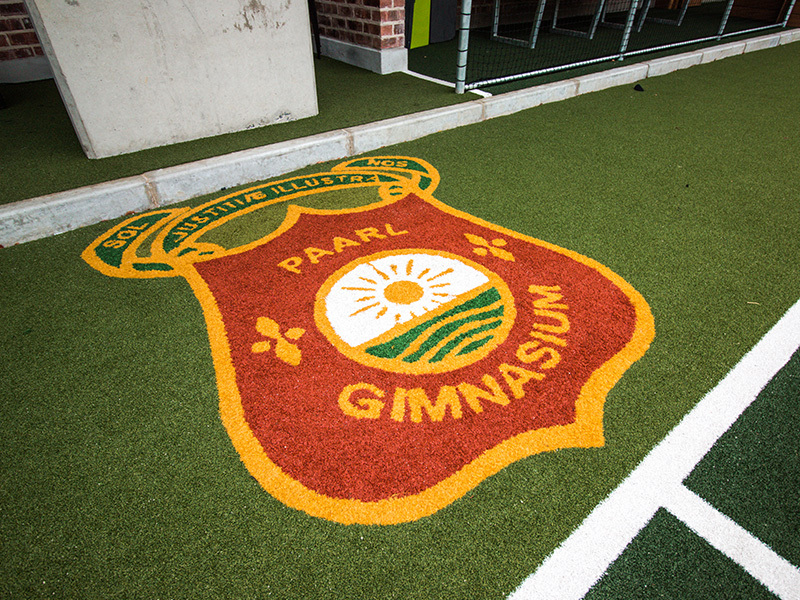 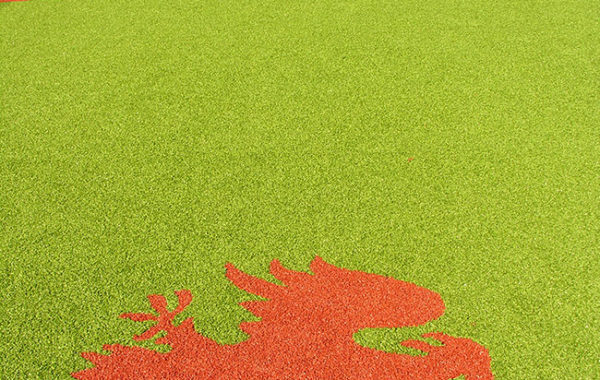 Synthetic/Artificial grass is available in a variety of colours, which enables us to cut company and sponsors logos, school and club emblems into a complete synthetic grass field or entrance mats. 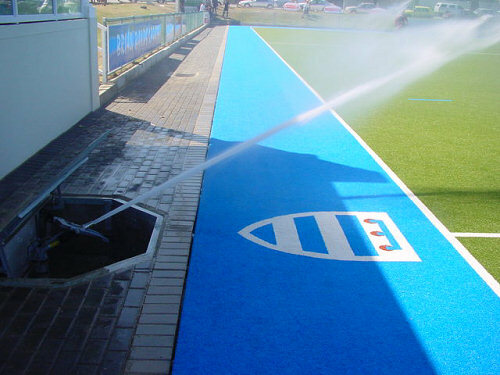 This process is time consuming and requires cutting templates, so we would usually only undertake this process on sports fields or corporate entrance ways. 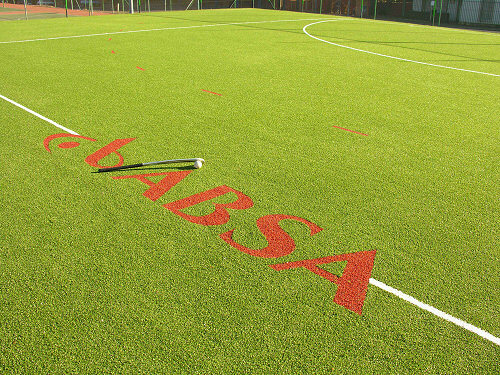 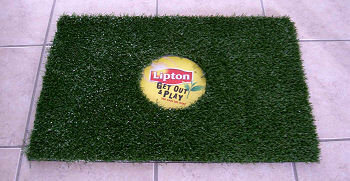 A more cost effective way of doing this is to pre make a laminated logo and then cut and glue this logo into the synthetic grass mat.